There seems to be some understandable confusion as to where we stand with hemp legislation in Pennsylvania. The root of this confusion is because there are two different hemp bills that have been making their way through the general assembly. SB50 is the senate bill and HB967 is the house bill. While both bills have passed unanimously in their respective chambers, that does not get either bill to the Governor’s desk. At this point in time HB967 is the bill that we anticipate will move. Right now it is sitting in the Senate Agricultural and Rural Affairs Committee. There is a good possibility that it will have some technical amendments made to it that will facilitate the Dept. of Agriculture’s job in getting the program up and running. We are pushing as hard as we possibly can to get the senate to move it out of committee and back to a floor vote as soon as they come back into session on May 9th. If the bill is not amended it will go straight to the governor’s desk after the full floor vote. If it is amended, then it will have to make a stop back in the house for concurrence before getting to the governor. We have the full support of the governor and we know he will sign the bill as soon as he gets it. Even if we are successful in getting this signed into law the week of May 9th, the Dept of Agriculture needs times to create and implement the program. They will need to apply for and obtain a DEA license which will take about 30 days. Best case scenario, we are looking at mid to late June. Even in this best case scenario it simply is not practical to expect the Dept. of Agriculture to create and implement a hemp program in time for participation this year. That being said, we are fighting as hard as we can to get at least one true pilot program, through an institute of higher education, started this year. If we are successful it will be a minor miracle and a huge symbolic victory. I know this is extremely disappointing to all of us that were hoping to have a workable program in place this year. It was not for a lack of trying or for a lack of support in the general assembly. It is simply that the wheels of legislation move slowly and the budget impasse this year was a major set back. Yet even if we were somehow able to pull off getting a program up and running for this year, it wouldn’t be responsible for us to encourage participation this year. There are many factors to consider as far as what type of hemp to grow and for what purpose, how many acres to start, how to frame the research aspect of the pilot, where to source the seed, what is your target market, etc. PAHIC board members with Sec. Redding and key members of the PA Dept. of Agriculture. Much is still up in the air about what the final licensing fees and regulations will look like. 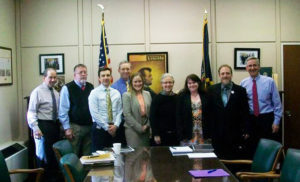 Members of PAHIC met with the Dept. of Ag a short time ago to discuss all aspects of implementation. Those discussions will continue after the legislation is signed into law. What is clear is that the Dept. has already done a lot of preliminary work to be ready and they are committed to creating a long term successful program. We want every farmer that participates to have a rewarding and successful experience. We will help all of our members through the licensing process. 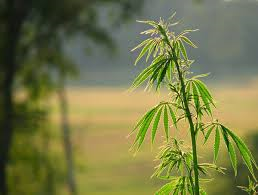 We will host educational forums for farmers to learn about growing hemp from other experienced hemp farmers. We will work to connect farmers with processors to establish markets. We will continue to educate the general public about hemp, its many benefits and why they should seek out and purchase hemp products. In short we are dedicated to doing everything we can and exploring every possibility to ensure that Pennsylvania takes its rightful place as the leader in the hemp industry. Please consider becoming a member not only to support our efforts but to also be the first to know as things progress and to get personal assistance in participation. While I know its not happening as fast as any of us would like, we are on the right path and working together we WILL create a thriving industry!